Hope you are all doing well? I've had a little bit of an extended bank holiday, so I decided to make the most of it and head to my favourite salon 'Rhys Giles' for some serious 'me' time or should I say hair time Haha. 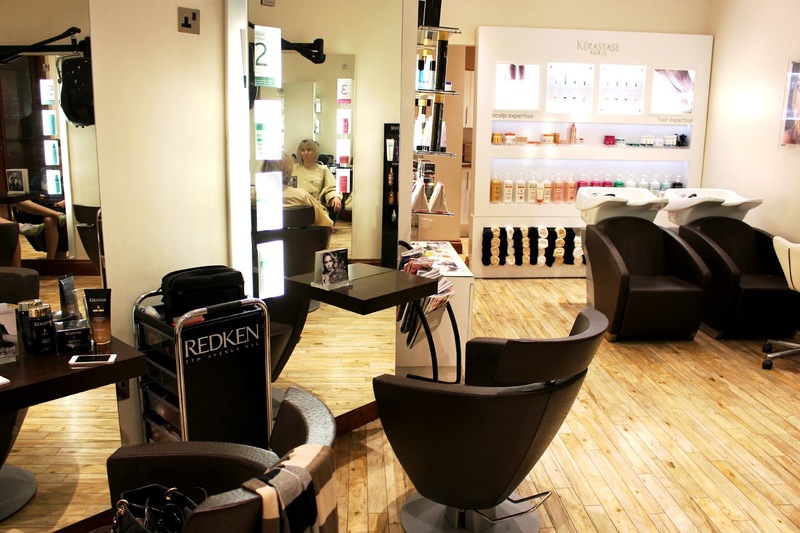 If you don't know then Rhys Giles is an award winning hair and beauty salon based in Cwmbran and also within The Celtic Manor Resort (South Wales). 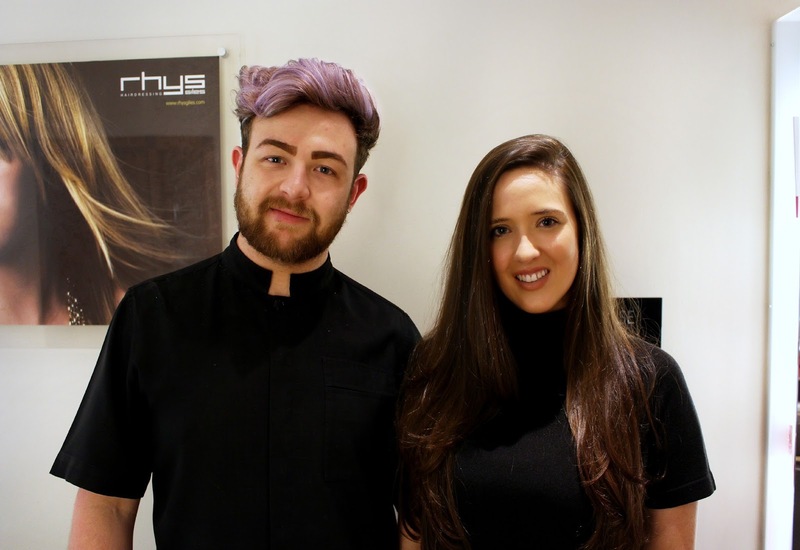 Despite the impressive amount of awards that the Rhys Giles Salon has under it's belt, Rhys and his talented team stick by the ethos that what is produced in the salon is the most important thing. I always really look forward to visiting my local Rhys Giles Salon at Celtic Manor, So I thought I would go ahead and tell you a little more about my day! I feel like it's such a treat to get my hair done, as I barely have time to go half as much as I should...so my visit today was well and truly needed. I do work at the Celtic Manor, which means I do get staff discount, but I genuinely just wanted to share my fantastic experience with you all! I hope you enjoy this post my lovelies and I would love to hear from you in the comments section below. I woke up this morning and instantly felt happy knowing that I had an extra day off work, but not only that I was finally off to get my hair done. 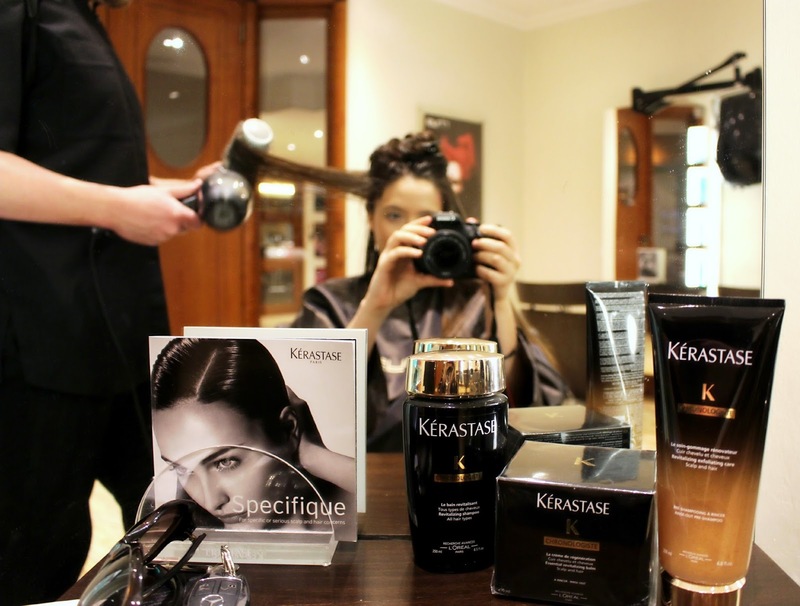 Rhys Giles is my favourite salon and they're also stockists of my beloved Kerastase! I've been trying to decide on whether or not to get some colour put through my hair, but after a few messages between me and my stylist Nathan I decided to go for it! If you're ever in Wales I would 100% recommend visiting Rhys Giles at either Celtic Manor or at their Cwmrban salon, as It's a totally unique and customer based experience. Sometimes getting your hair done can be quite scary, but at Rhys Giles they genuinely make sure that your vision is the most important thing. I always have Nathan as my stylist and I can't sing his praises enough! He's not only my friend, but he's also an extremely thoughtful, caring and truly talented stylist. He always makes sure I'm 100% comfortable with what we plan to do with my hair and each time I'm over the moon with the results. I must admit I was a little worried about having a few lights through my hair, as I had it done before and it wasn't really for me. However, after expressing my concerns to Rhys and Nathan they made sure that the results were natural, but added that extra bit of depth and movement I was looking for this spring/summer. I wasn't after anything high-maintenance, so it was great that Rhys and Nathan ensured my colour was natural and not directly put through my roots. I always get a caviar based treatment on hair, so when I heard Kerastase had released this amazing formula in a full collection I couldn't wait to find out more about the products... as Nathan said Kerastase are the 'CHANEL' of the hair world and for me they are! Nothing sorts out my hair like Kerastase and even though it's pretty pricey the results never disappoint me. I decided to treat myself to the full collection, which consists of the Kerastase Chronologiste hair exfoliator, shampoo and hair balm. I've never actually tried a hair exfoliator, but I've heard seriously amazing reviews.. so keep an eye out for a full review on this collection within the next few weeks. I had an amazing day at the Rhys Giles Salon and I couldn't wait to share my experience on my blog! I just want to say a huge thanks to Rhys and Nathan for looking after me today and giving me the amazing results I was hoping for. I now have silky soft and healthy hair with a little extra dimension from the gentle lights. I love it. I would love to hear your thoughts lovelies.. are you planning on changing your hair up for the Spring/Summer too? Your hair turned out so lovely! Your hair looks great. I always think if you find a hairdresser who really understands how to handle long hair you need to keep him. Your hair looks so beautiful! I am always looking for a good hairdresser to give me a good blow out as I have a hard time finding one that I love. I've stuck with the same one over the years because she is absolutely amazing but not always available. It's really unfortunate this hairdresser isn't in my area! Great post!! You are gorgeous my dear.